Couch cushion covers are one of the quickest and most affordable ways to add a splash of style to you interior. Cushions can introduce certain colours and bringing a theme together. If you’re on the hunt for impactful, interior design pieces that won’t cost you hundreds, cushions are a great way to do this. And while cushions can elevate a couch (and an entire room), there’s more to purchasing cushions than just picking your favourite look. Think of this as your go-to guide to decorating your living room with new cushions. We’ll run through all the factors that will affect your decision and help you choose the best couch cushion cover to dress up your space. You’re going to see your cushions every day. Let’s make sure you’re happy with the look and get the most out of your cushions (moving them around your house). So, ‘interior designer’, let’s start by answering a few of the most important questions. What should you consider when buying couch cushion covers? Changing (or adding to) your décor can feel like a daunting task. But what if I have a red paint scenario? Well, this is the beauty of couch cushion covers. You can just replace the cover with a style you love. But, we don’t want you to have to do this (keep reading). There are a few factors you need to consider before making a purchase. They include determining the style and material you want, where you’ll place the cushion and how much you want to spend. As for the style, you have an almost-endless array of options. Do you like boho or classical? Loud and eye-catching or casual and blended? Are you matching the colours to your furniture? How big do you want the couch cushions to be (and do you want more than two)? Whichever style you settle on, couch cushion covers will give your room a new meaning. You just need to decide how dramatic that change is. Jump on Pinterest or Instagram and see if you can narrow down the style of cushions you like. Then, refer to this when you’re making the purchase. Learn about the different material options, too. But first, ask yourself whether the cushion is decorative-only or will you be using it to lay down on, as well? 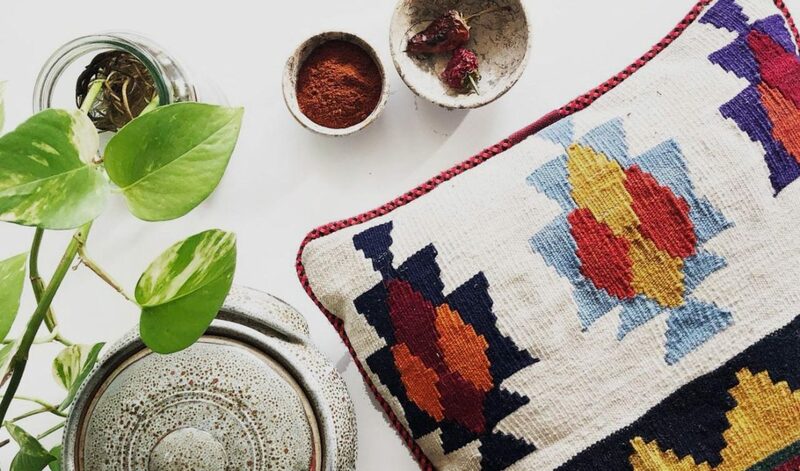 The most common fabrics for couch cushion covers include cotton, polyester, velvet, wool or knit, faux fur and, of course, our favourite kilim. And finally, price always comes into the equation. Know your budget and how much you’d like to spend. It’s better to buy fewer couch cushion covers but, for those pieces to be quality made. Avoid getting tempted by the ‘buy in bulk’ setup that department stores offer. Focus on the high-end fabrics and designs that you’ll get from independent stores. There shouldn’t be hundreds (or thousands) of the same cushion cover. So, just to recap: know the style you want, consider where you’ll place it and how it’ll be used, decide on a fabric and stick to your budget. Where can you buy couch cushion covers? While we’re on the topic of purchasing cushions, you’re probably wondering where the best place is to buy your covers. One thing’s for sure: you’re spoiled for choice. You can buy couch cushion covers from just about anywhere. Big department stores like Kmart and Ikea, specialty homewares stores in your local area and online from both major and artisan-style websites. Some people just want a few cheap, basic cushions to add to a living space, while other people are looking for something that’s a tasteful and decorative. Either way, it’s best to focus on the quality of the fabric, the individual design, and the service (and reputation) of the company you’re buying from. Do you want a cushion that so many others have? Chances are, you don’t. You want your new cushions to make a design statement – one that resonates with your personal taste. Shop from an independent cushion store, whether it’s online or a physical boutique. How can get the most life from your couch cushions? Our number one tip? 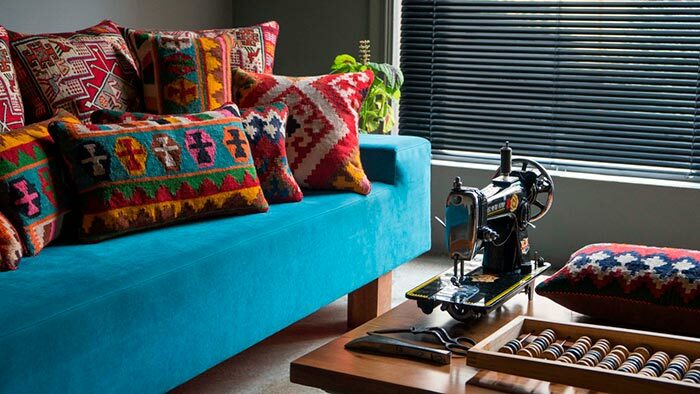 Only buy quality-made cushions and don’t be afraid to spend a few more dollars at the start. The cushion will look better, especially if it’s for decorative purposes, and you won’t need to worry about it losing its appeal after a few weeks. Learn about the product you’re buying. Who made it and where is the fabric sourced from? Was yours made from the end cut of material that was fading? What about the customer service or product guarantee? While those department store cushions might sound like a bargain, they won’t last. Choose your cushions wisely and they’ll last for years. What is the best interior for sofa cushions? While you’re probably focused on how your cushion looks, it’s important to pay attention to what’s inside. There are various filler options to choose from including foam, feathers and down and polyester. If comfort is extremely important to you, it might be worthwhile buying your cushion in-store, then finding your favourite cover online. How to replace your couch cushions? Well, we’ve got good news. Unless the cushion itself is old and uncomfortable, you can just replace the cover. Let’s say you’ve updated your sofa and your old cushions don’t match. Go shopping for the cover, not the whole cushion. This will save you money and maximise the life of the original cushion. Why not purchase a couple of different colours, patterns and themes, so you can switch them up every few weeks? It’ll add an entirely new energy to the room, simply by changing the cover. If you purchase decorative covers, just make sure you know how to take care of them. This will depend on the designer’s instructions, as well as the fabric. This leads us into the last point about taking care of your cushion covers. Can you dry clean couch cushion covers? Do you have little kids (and fur babies) running around the house and onto the couch? If so, you might need to give your cushions a proper clean. If pooch has an accident on the couch or bubs spills their food (and smears it), you may need to dry clean your cushion covers. If this happens, check the label for maintenance instructions. Most likely, if your cushion sits on the higher end of the market, we suggest investing in dry cleaning. This will ensure your couch cushion covers hold its colour, texture and look. It’s not worth quickly cleaning it yourself if it’s going to damage it. Cushions are one of the most under-appreciated interior design pieces. Begin in your lounge room and have fun with the spots that you bring to life. Your couch cushion covers can transform your home’s spaces. Think about what you want your cushions to ‘say.’ Choose a few covers and cycle them throughout the year, depending on the look and feel you’re trying to emulate. Oh, and just make sure they’re comfortable. You’ll be resting your head on them, watching your favourite show. Lotus Handicraft cushions tick both of these boxes, decorative and comfortable. Take a ‘trip’ to the Middle East with Lotus Handicrafts.